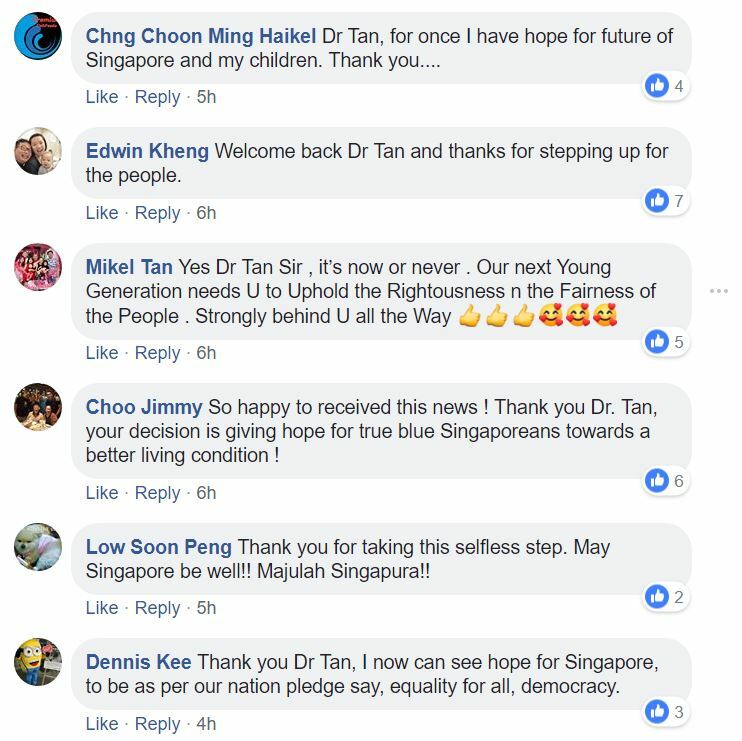 Dr Tan Cheng Bock’s announcement today that he is returning to politics and that he is registering a new opposition party has drawn widespread praise from hundreds of Singaporeans, who are thanking him for his “selfless” contribution to Singapore. 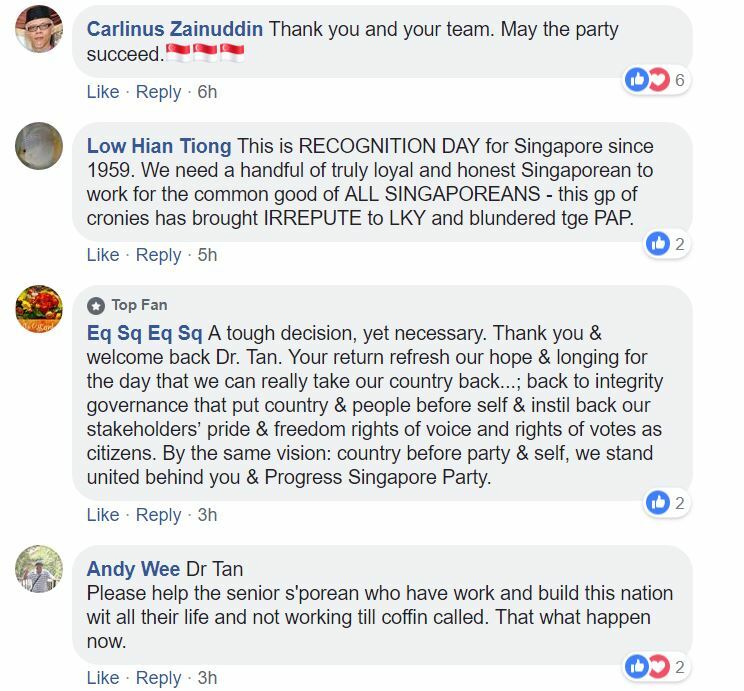 Earlier today, Dr Tan said that he and 11 other “like-minded Singaporeans” filed an application to the Registry of Societies to register a new political party, called the Progress Singapore Party. 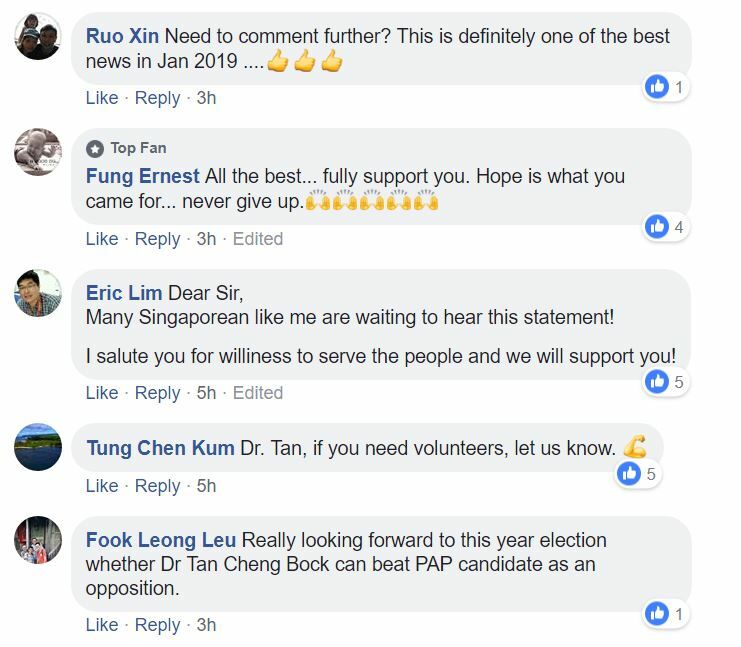 Interestingly, the group who filed the application to start the party include other ex-PAP cadres like Dr Tan. 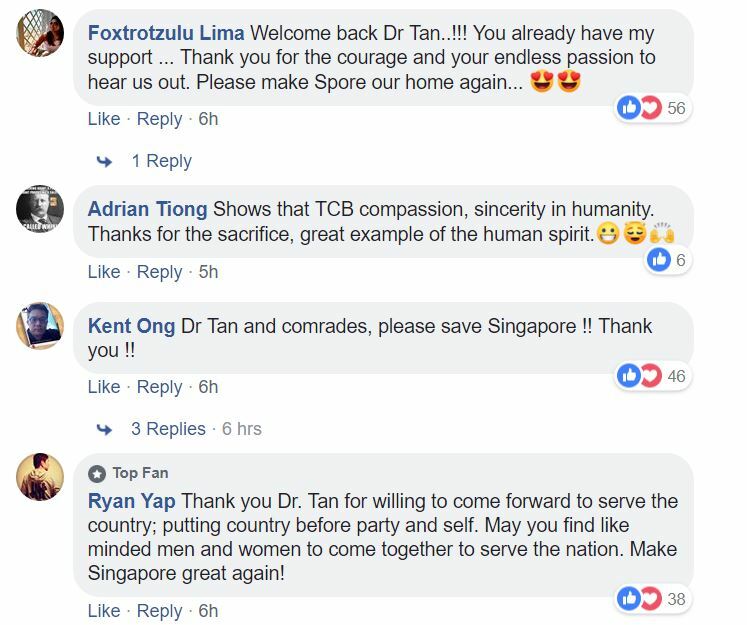 Dr Tan revealed that he decided to form his own political party due to a sense of duty he felt towards Singapore, after hearing their concerns and fears during his interactions with ordinary Singaporeans on the ground. 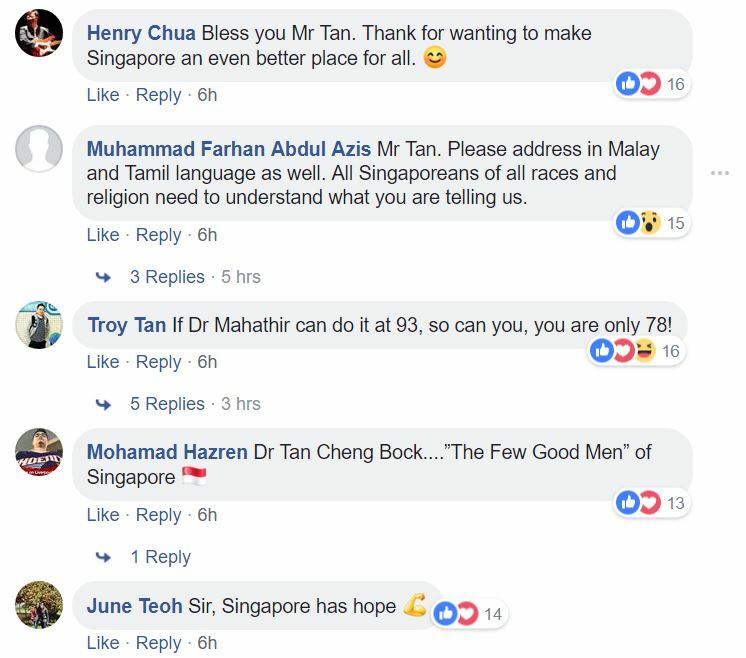 “Over the years, a group of us have been walking the ground, meeting many Singaporeans from all walks of life. 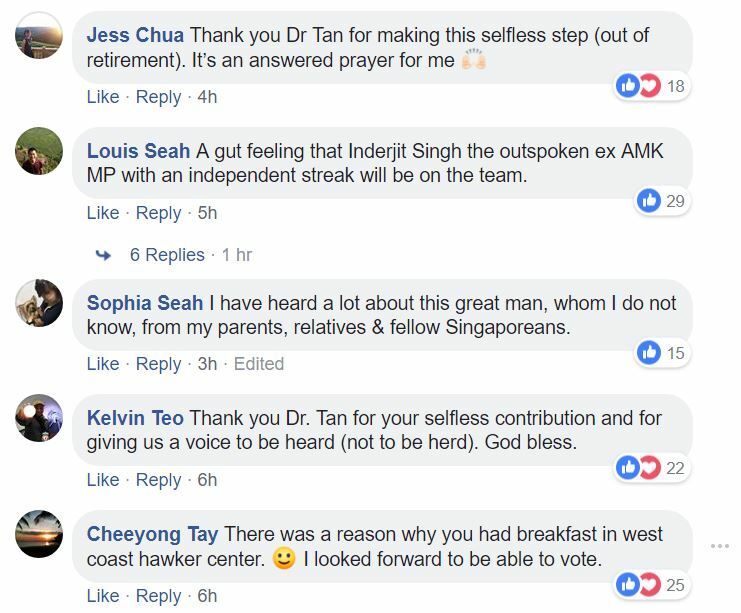 In my conversations with them, I listened to their concerns, heard their fears and felt their pain. 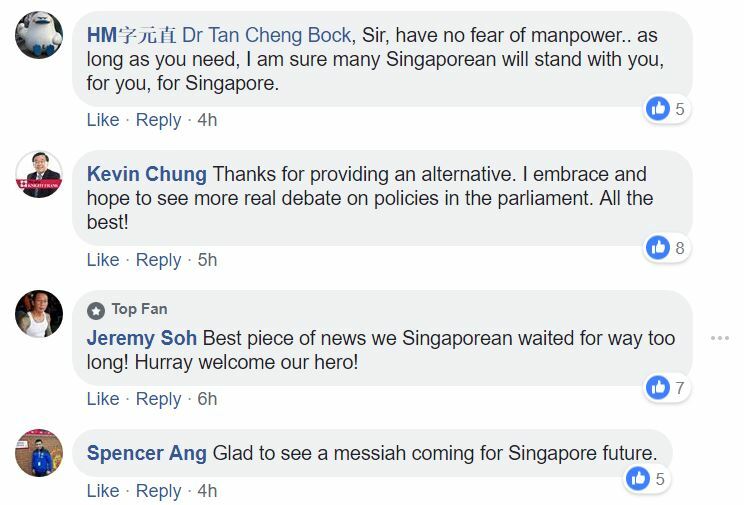 I felt a sense of duty to come forward and represent them in Parliament. 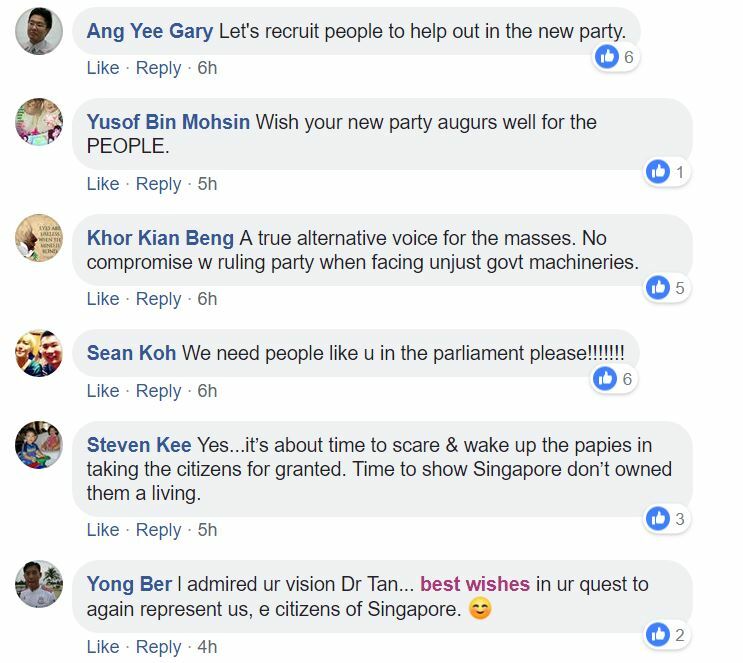 So I decided to form a political party to add another voice in Parliament. 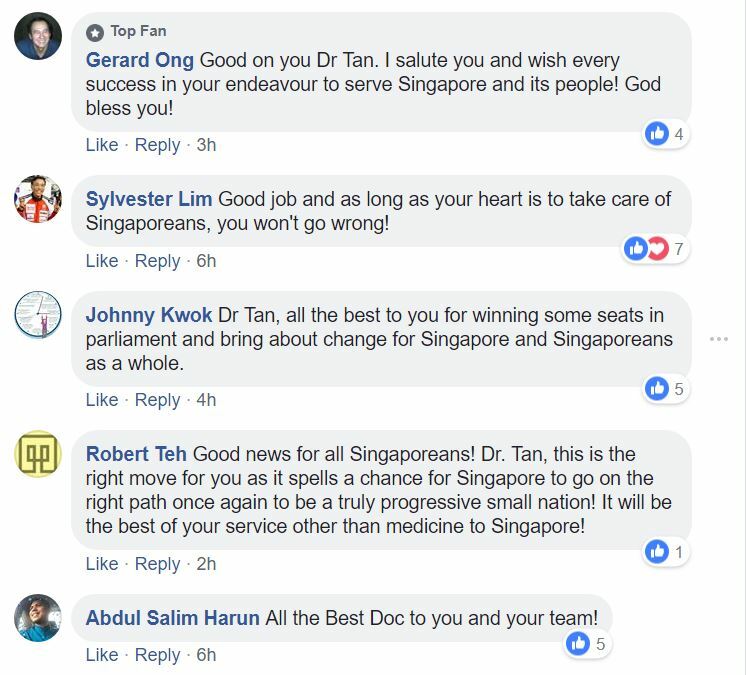 “The decision to go on our own was not an easy one. 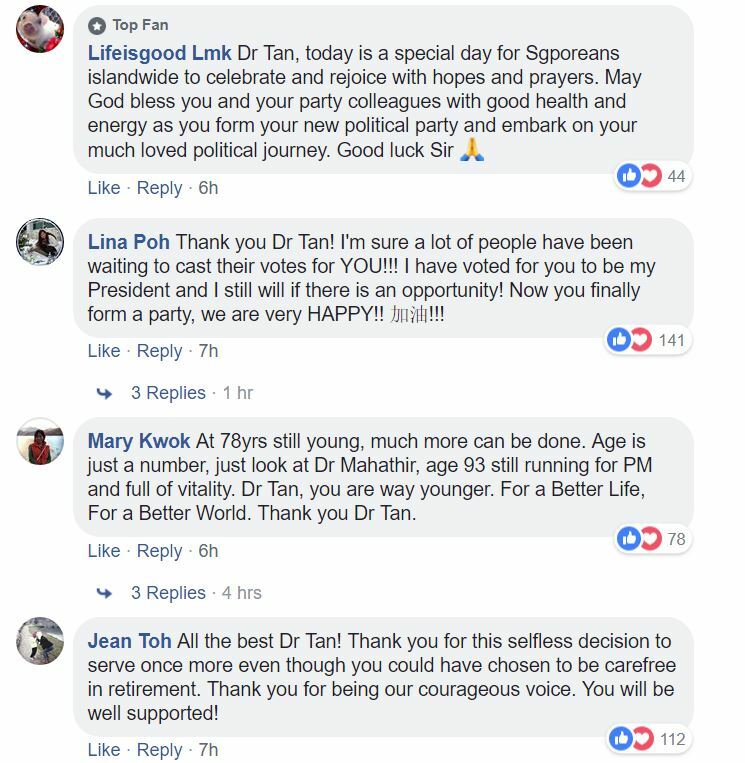 I, together with my team, studied the many options offered, like joining an existing opposition party, taking over an existing opposition party, running as an independent and so on. 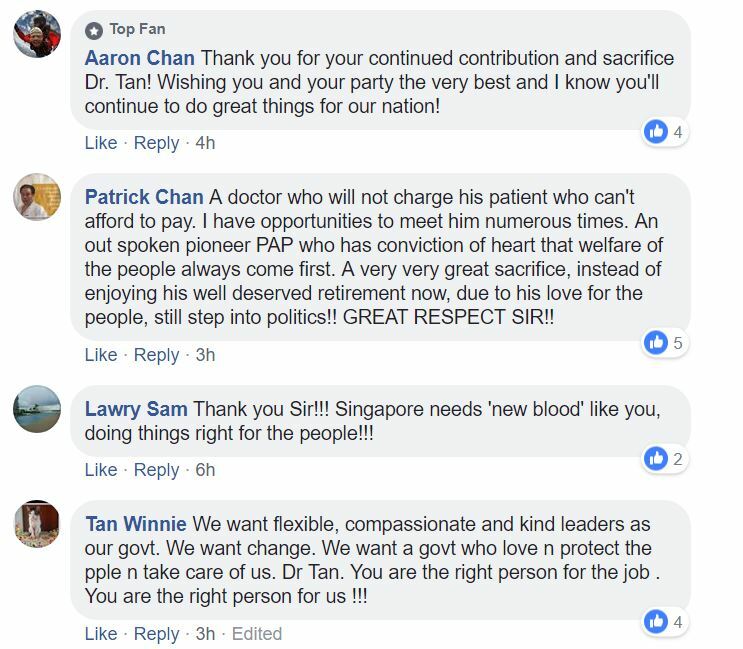 I want to thank all those who made such generous offers. I considered them all seriously and it was a difficult decision, but I feel it is the right one. 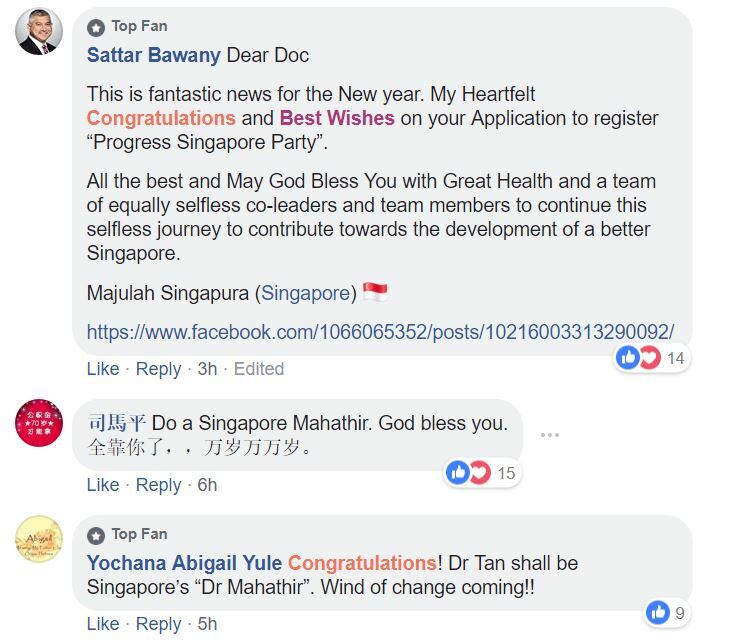 Dr Tan indicated that further details about his party will be revealed at a press conference once they receive approval from the Registry of Societies. 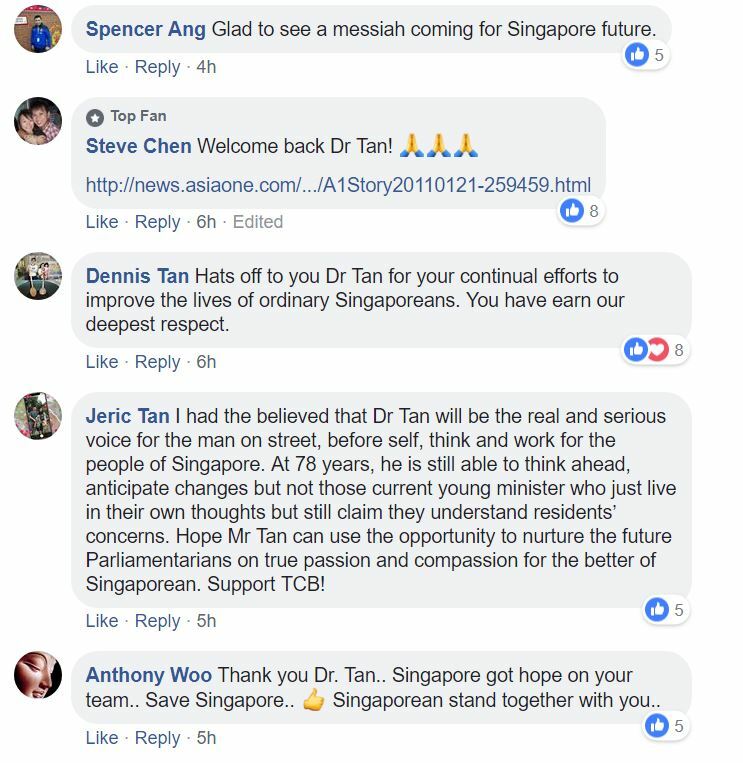 This latest development marks Dr Tan’s return to politics after a long absence. 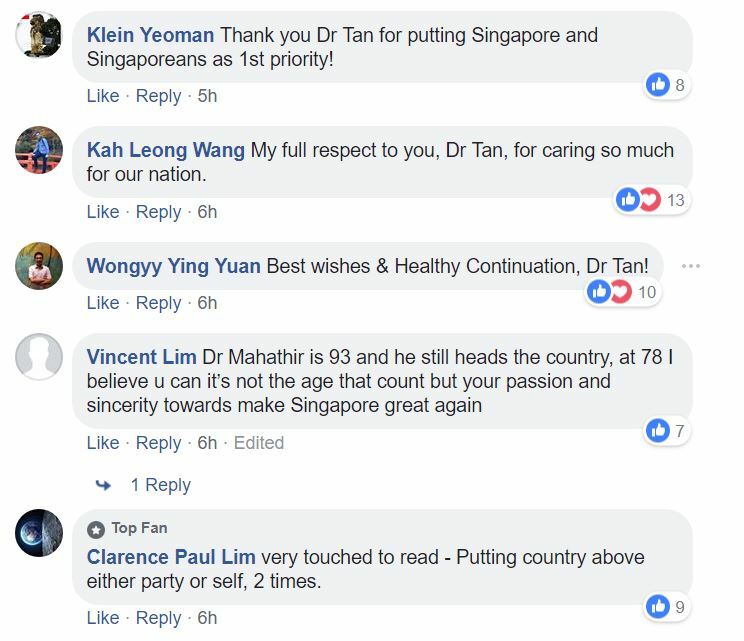 Dr Tan was formerly a ruling party politician and a PAP Member of Parliament from 1980 to 2006. 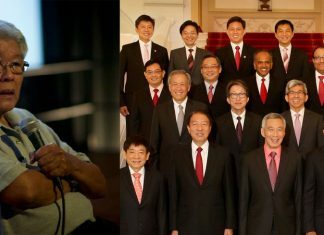 He was the first non-Cabinet minister elected into the PAP Central Executive Committee (1987–96). 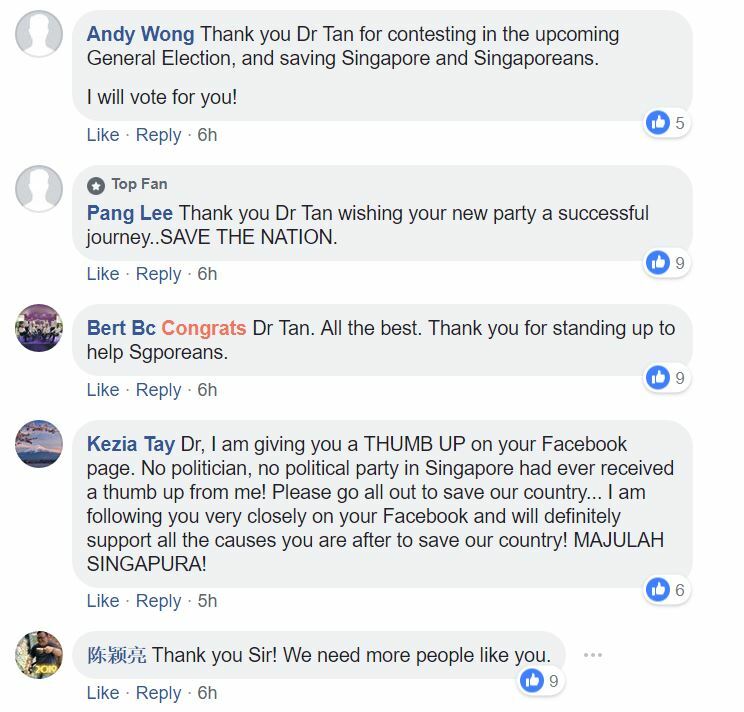 In 2011, Dr Tan stood in that year’s presidential election and lost by 0.35 per cent to the establishment favourite and ex-PAP minister Tony Tan. 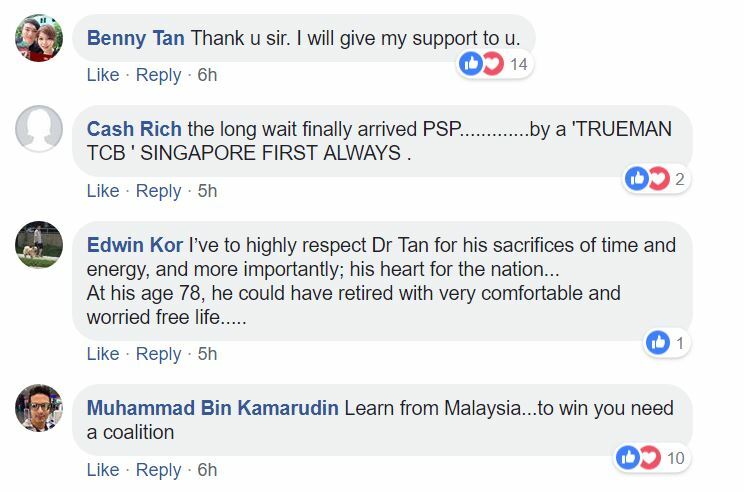 Dr Tan tried to contest the next presidential election but was barred from doing so when the Government reserved the election to Malay-Muslim candidates months after he announced his intention to run again.